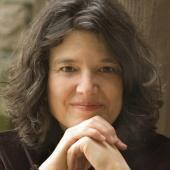 Jean Rife, Lecturer, B.M., Oberlin Conservatory of Music; M.A., Harvard University, coaches ensembles in the MIT Chamber Music Society and holds woodwind and brass sectionals for the MIT Symphony. As a horn soloist, she received First prize at the Heldenleben International Horn Competition. Ms. Rife has presented solo and ensemble performances in Japan, Germany, Switzerland, Belgium, Canada, South America and throughout the United States. She has recorded on Telarc, Telefunken, Titanic, Harmonia Mundi, Arabesque, the BBC Radio, WGBH, and Radio Suisse Romande. Her "Yoga for Musicians" workshops take her to festivals and universities all over the country. In 2004, she revived an early interest in playing keyboard instruments, has been studying harpsichord with Peter Sykes, and has performed several full-length solo recitals, performed with MITSO and students, and played with professional musicians such as Marcus Thompson and oboist Peggy Pearson. She is also on the brass and chamber music faculty at New England Conservatory. In two recitals in Killian Hall on October 16 and November 13 she will perform the complete Partitas of J.S. Bach.